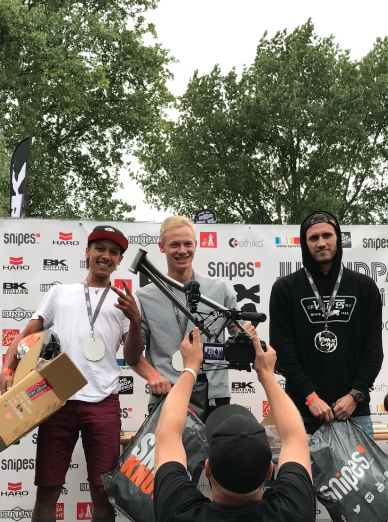 Congratulations to Jorrit van Drumpt who stepped up from 9th place qualifier to take the top spot in the AM class here at BMX Cologne 2017. Jorrit was followed by Michal Kupec in second, and Amsterdam local, Gino Stuart taking the third place podium spot. Awesome riding from the AM’s, much respect!